The valuable recoveries in electronic waste are usually gold in connectors and circuit boards, copper used in heat sinks and power supplies, aluminum used in frames, chassis and cases. The hazardous materials in electronic waste are usually Lithium used in batteries, mercury used in backlight displays or lead used in soldering. You may also have functional parts that can be sold and reused. These parts can help to improve the mass balance. On the left side of the chart are the commodity and resale parts which are on the recovery side of the scale. Each are color coded to quickly identify the recovery and sales potentials. On the right side of the chart are the labor related identifiers which are on the cost side of the scale. The amount of screws, clips, connectors and glued parts highlight labor complexity. The bottom line: when it comes dismantling electronic devices, you have to find the right balance between the cost of dismantling them and the value of the materials you recover. Kevin Shea is an industrial Engineer at GEODIS in Endicott, NY. His responsibilities include process optimization, cost saving analysis and new solutions implementation. 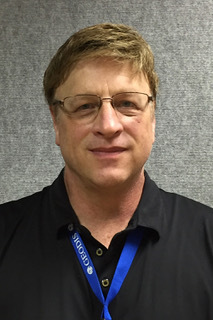 Kevin is a certified Six Sigma Green Belt and has 35+ experience in Industrial Engineering in the electronics manufacturing and recycling business operations. GEODIS has developed and maintains a Mass Balance product database of more than 200 products that it continually reviews to incorporate new products and new dismantling techniques. Check out techrecommerce.com for more details.